Regardless of her intent, Judith Warner’s NYT Magazine article “The Mid Career Time Out (Is Over)” is causing readers to conclude that taking a career break leads inevitably to divorce, misery and lower pay. Not only is this conclusion negative and demoralizing, but it’s not true. Taking a career break most certainly doesn’t mean professional suicide. 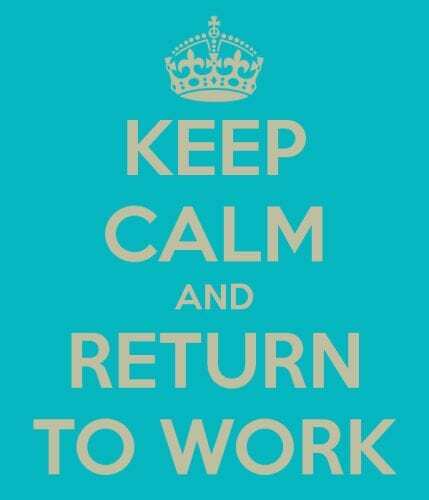 Returning to work is not easy, so I won’t sugarcoat the issue. But it is possible. My business partner Vivian Steir Rabin and I have seen and helped thousands of women (and men) return to work after career breaks ranging from one to 20 years. We did it ourselves: Vivian after seven years at home with five kids and I after 11 years at home with four kids. Yet, looking only at the portrayals of the three individuals Warner features, it is easy to understand why readers come away afraid to take career breaks. While an issue of this importance will not be settled by dueling case studies, they can be instructive. Our company iRelaunch has compiled hundreds of successful career reentry stories. These stories chronicle just some of the diverse ways people have returned to work after long career breaks, most often happily and with marriages intact. Among the specific risks Warner highlights, reduced compensation following a career break is near the top. On a superficial level, she’s right. The Center for Talent Innovation’s Sylvia Ann Hewlett found that women suffer a compensation hit of 37% following a career break of three years or longer. Research by Harvard’s Claudia Goldin produced similar results. Yet, lurking behind the numbers are important life decisions that reveal a more complicated picture, particularly among the many returners who intentionally accept lower compensation after a career break. Is reduced compensation a problem for the former investment banker who no longer wants to work around the clock or the physician who now prefers predictable office hours in a clinic to rushing to the hospital for emergencies? Having young children or elderly parents can change the work-life calculus. The desire for a less stressful job, the decision to assume a more junior role to ease back to work slowly, or the realization that transitioning to a new field might be preferable may cause women to accept lower compensation. While each of these life decisions involves earning less, that’s obviously not the whole story. In many cases, the lower paid position may actually make the returning worker more happy, not less. These intentional decisions are not failure stories, but successes. As an aside, while I’m guessing Warner didn’t mean to do so, she touches on a key career reentry strategy that led to the successful hiring of one of her subjects. Warner recounts how Sheilah O’Donnel runs into a former Oracle colleague and finds that “her reputation – 11 years out – was still intact.” That fact is one of the least well-known, but most critical aspects of career breaks: that people’s view of you is frozen in time. They remember you as you were, even if your view of yourself has diminished over time. That’s why it is so important to get in touch with people from the past, people with whom you worked and went to school. Not only can it provide a huge confidence boost, but it often leads to job offers, as in the case of Ms. O’Donnel. Each woman who decides to take a career break does so because of a unique set of factors. It is impossible to generalize from three people’s experiences whether it is the right move for you. Do it with your eyes open to the potential issues of balance in spousal relationships, erosion of confidence, financial dependence, and the challenges of reentry. But also enjoy the time spent caring for children if that is why you are taking a career break. Ideally, you will want to keep your hand in your field while on career break by doing special projects, covering maternity leaves, or finding pro bono assignments. If this is not realistic for you, focus on maintaining your professional network, even with only occasional contact. When the time is right for you to return, draw inspiration and instruction from those who have successfully returned to work before you. As more people make the transition back, returning to work, the stigma attached to taking career breaks will lessen and it will only get easier.